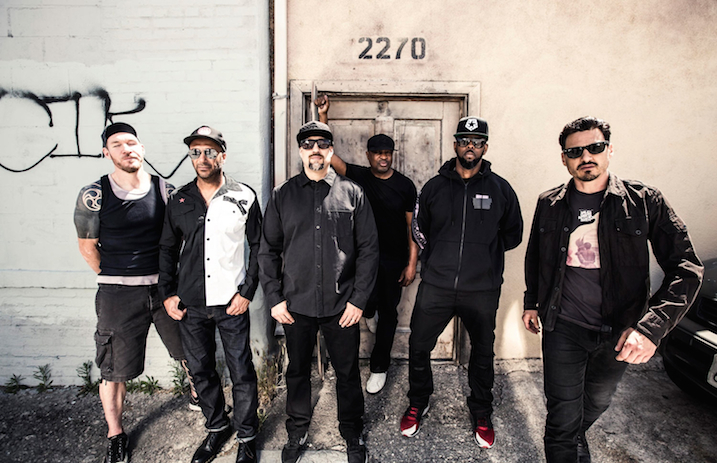 Prophets Of Rage—the supergroup from members of Rage Against The Machine, Public Enemy and Cypress Hill—have just premiered a new, Michael Moore-directed music video for “Unf*ck The World,” the lead single from their recently announced debut album. Watch it below. The self-titled full-length from the band featuring RATM guitarist Tom Morello, bassist Tim Commerford and drummer Brad Wilk (all three also of Audioslave) is out on September 15. It follows the group's 2016 EP, The Party's Over. Prophets Of Rage formed last year, and include rappers Chuck D (Public Enemy), B-Real (Cypress Hill) and turntablist DJ Lord, in addition to the RATM musicians. Check out the Prophets Of Rage cover art and track listing after the clip.